The management and labor representatives of Kia Motors Corp. tentatively agreed on the payment terms of overdue wages following a court ruling that ordered the automaker to include regular bonuses as part of the base salary. According to the company’s labor union on Monday, they agreed to include bonuses in the base salary and pay about 19 million won ($16,840) to each union member in overdue wages from August 2008 to March 2019. This is expected to cost Kia Motors an additional 500 billion won to 600 billion won, but it is lower than the company`s original estimate of 1 trillion won. 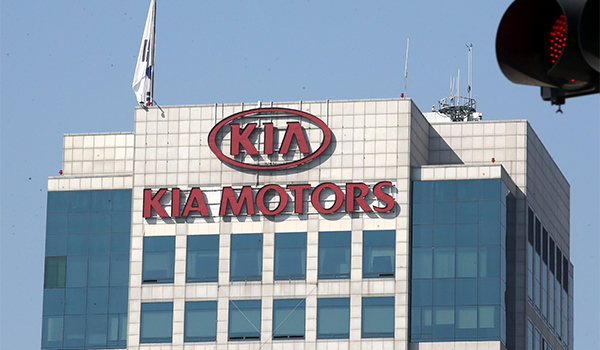 On Feb. 25, the Seoul High Court partially ruled in favor of the 27,000 union members of Kia Motors and ordered the management to pay 422.3 billion won in overdue wages to employees based on a new calculation of the ordinary wage. The court, upholding the lower court’s ruling, said that special bonuses distributed during holidays were paid out regularly to employees, and thus should qualify as part of the basic wage. Meal costs and family allowances, which were initially included in the lower court’s definition of the ordinary wage payment, were excluded. The management agreed to pay 60 percent of the court-ordered amount in overdue wages from August 2008 to October 2011 by this coming October, according to a Kia Motors official. As for the period from November 2011 to March 2019, the company said it would pay a fixed amount of 8 million won per employee. They also agreed to include regular bonuses, which make up 750 percent of the ordinary pay, in the base salary and distribute them in monthly installments. The union would put the plan to a vote on Thursday. If passed, the new resolution would be effective from Apr. 1.